New Graphic Novels and Merch + Huge Restock! 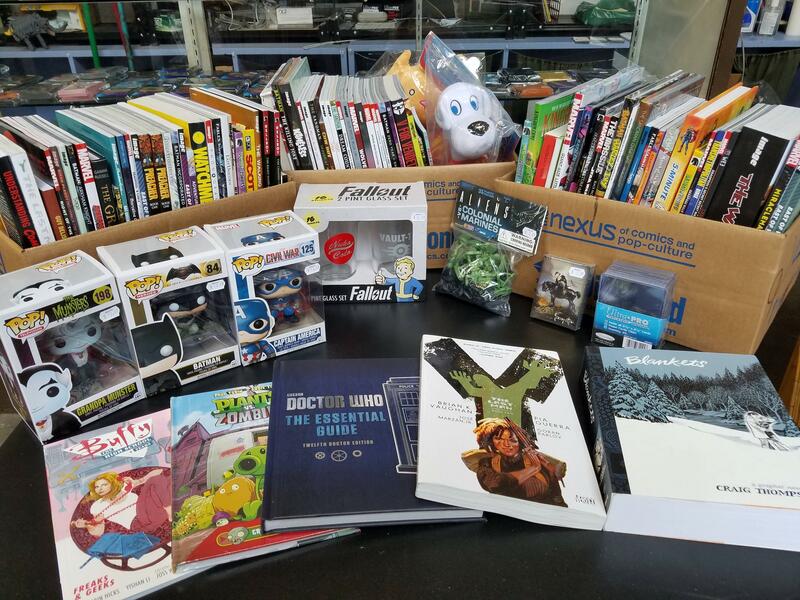 Posted: Thu Jun 02, 2016 3:54 am Post subject: New Graphic Novels and Merch + Huge Restock! We got an absolutely massive restock of some of our most popular graphic novels, TPBs, and comics merch this week along with some awesome new stuff as well. New items include Buffy The High School Years: Freaks & Geeks, Doctor Who the Essential Guide: Twelfth Doctor Edition, and new POP! vinyl figures of Captain America, Grandpa Munster, and Batman. Stop by the store and check out all this awesome new and restocked inventory!